In Syria, the nightmare of Assad’s regime continues. Six million Syrians have become refugees, hoping to escape the fate of their countrymen. Half a million Syrians have been murdered by Assad’s regime and another five million have been internally displaced. All of this carnage has been facilitated by the Iranian regime’s support of Assad and his brutal reign. By lending support to the Butcher of Damascus, fanning the flames of sectarian violence, and directly intervening in the Syrian crisis, Tehran has supported the brutality in Syria and extended Assad’s reign. In addition to furthering the suffering of the Syrian people, Tehran has also backed terrorist activities in Iraq, Yemen, Lebanon, and Gaza. The Iranian regime continues to develop nuclear warheads in defiance of the failed Joint Comprehensive Plan of Action (JCPOA), also known as the Iran Nuclear Deal. Despite these acts of aggression, the West continues to prop up the regime with its money. Tehran’s development of nuclear weapons and its exportation of terror continued unabated during the time the JCPOA was active. And Iran’s people made their dissatisfaction with the current regime known with the uprising that began last December and spread across more than 140 cities in Iran. And while it is good that the United States has recognized the weakness of the JCPOA, Western nations must go further to end the threat posed by Tehran, both inside Iran and across the world. When President Trump pulled the U.S. out of the JCPOA, he stated that the Iranian regime would have bigger problems that they’ve had in the past. But Tehran’s problems go far beyond the sanctions that are to come. Cities across Iran have been the sites of continuous protest since the uprising that began last December, with multiple demonstrations taking place each day. Khamenei, regime’s Supreme Leader, acknowledged the MEK’s role in the uprisings, which explains the regime’s anxiety about the growing unrest in Iran. The extent of regime’s fear could be seen when in January, Rouhani attempted to persuade French President Emmanuel Macron to take action against MEK members in France. Macron refused. It is therefore clear that the mullahs are desperate to hold onto their power and fear that it is already slipping away. This fear is magnified by the international community’s support for the recent uprising and by the clear message of those protesting. Protesters chanted, “Death to Rouhani!” and “Death to Khamenei!” in streets across Iran. Protesters also chanted, “Hardliner, reformer, the game is now over!” making it clear that they would not be satisfied by anything less than regime change. Maryam Rajavi, the President-elect of the National Council of Resistance of Iran (NCRI), of which the MEK is the largest member, discussed the future of Iran, saying, “Any future investment in this regime is doomed to failure” and that it “will only embolden the religious fascists’ warmongering, and export of fundamentalism and terrorism.” The only way to stop Iran’s terrorist actions and free its people is to put an end to its repressive regime. The West can support the resistance movement by curbing its aggression in the region and addressing its ballistic missiles violation, as well as cutting off Tehran’s access to the international banking community. This will cripple its repressive forces at home and abroad. 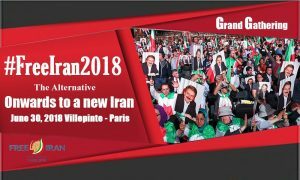 On June 30th, a Free Iran rally (#FreeIran2018) will be held in Paris. The annual event hosts delegations of resistance members and supporters, as well as dignitaries and high-ranking officials from across the world. 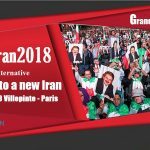 This event will offer the opportunity for the international community to support the MEK in its efforts to bring freedom to Iran. By supporting the resistance, the West can help bring democracy and equality back to Iran and end its terrorist activities in the region.